Start off 2019 with a bang by celebrating New Year's Eve at Fountain Square! Join us and our host from Mix 94.9 Cincinnati for a family-friendly New Year's Eve along with thousands of fellow Cincinnatians. 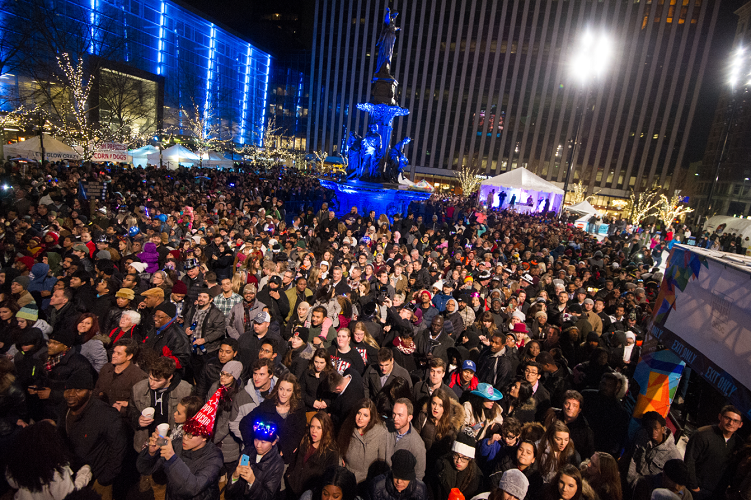 Dance the night away, grab some grub, and participate in goofy games on the Fountain Square stage and rink. Be sure to stick around to welcome 2019 with a fireworks show when the clock strikes midnight. This event is FREE and no tickets are required. The O'Keeffe's Company Ice Rink presented by Fifth Third Bank will also be open during the event. Admission to the rink is $6 and skate rental is $4. Special thanks to Mix 94.9 for helping to make this event possible!